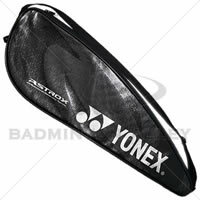 Yonex Astrox 99 badminton racket is targeted at advanced players and designed to deliver power from hit after hit. Earlier model of the ASTROX series has utilized next-generation graphite Namd in the shaft, which results in a large increase in the snap-back speed of the shaft, producing greater smash speeds. The new ASTROX 99 has adopted Namd in the entire body of the racquet, including the frame, doubling contact time with the shuttle, resulting in an explosive shot as the racquet returns from flexed to straight at the end of the swing. Additionally, the Energy Boost Cap shape is designed to encourage even more flex in the shaft, further benefiting from the effects of the Namd graphite. The series trademark technology, Rotational Generator System, which contributes to a smooth transition from shot to shot also helps the player maximize the effects of the entire Namd body. 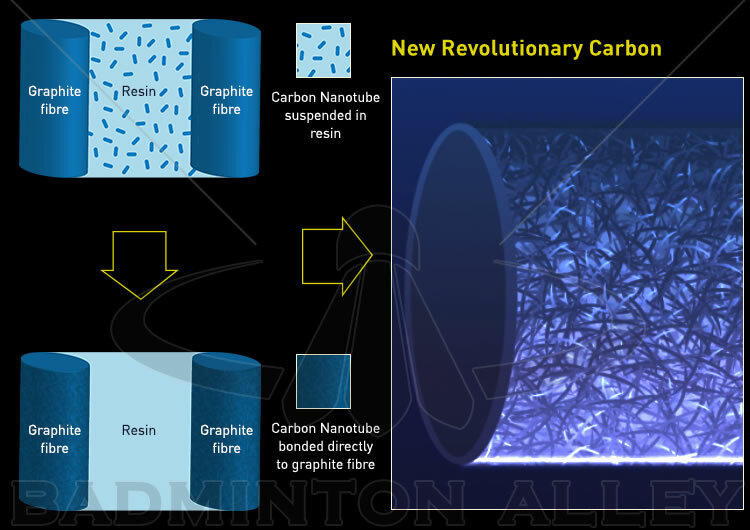 ASTROX 88 & 99 uses a worlds-first, new dimension graphite material, Namd, which greatly improves the adhesion of the graphite fibres and resin by attaching nanomaterial directly to the graphite fibre. excellent balance and light racket. Love the racket. need to identify the correct tension for the racket. maybe 23lbs is not correct.